See Why Accountants are Upgrading to Payroll Services LLC for their Clients Needs! Each Accounting Firm is different. That’s why Payroll Services offers Accountants 3 ways to work with us. Many accountants don’t want anything to do with payroll given the ever changing labor law requirements. Payroll Services LLC makes it easy for Accountants to offer a solution where you are hands off. Offer See why the Maryland Society of Accountants & Tax Professionals trust Payroll Services LLC to manage their workforce needs. Contact us to get started as a referral partner. Do you currently offer payroll service but want to stop? Let Payroll Services LLC provide you a no obligation evaluation on your current payroll clients. We provide customized acquisition solutions that are designed specifically for your firm. See why Accountants prefer Payroll Services LLC to take over the payroll duties. Payroll Services LLC offers a complete workforce management solution for each industry type. We provide complete tax filing, direct deposits, employee self service, time & attendance and more. Each package comes with our complete HR Tools for Small Business and can be expanded to our HR Elite. Do you have high turnover or going through a growth spurt? With iSolved Hire and iSolved Onboarding companies can streamline their applicant tracking system and employee onboarding. Customize the application process and recieve real time metrics showing where applicants drop off. Design a workflow process that alerts different hiring staff of specific stages. Ready to hire? 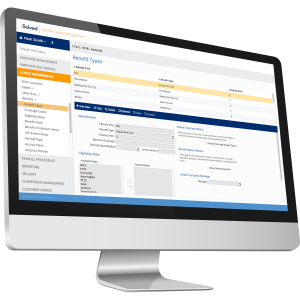 With a click of the button send an onboarding request to the employee and start collecting employee and company specific documents such as W-4s, WOTC, I-9s, Employee Handbooks and more.